Cycling adventures have never been more popular as an international travel option, mostly because countries like Peru not only have spectacular topography and terrain, but increasingly, the infrastructure and tour operators to accommodate it. 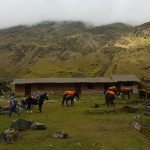 Peru has become exceptional over the past decade for cycling tours, and incredibly-scenic cycling trips and mini-adventures are boundlessly possible across the country. One new classic cycling tour begins right in the heart of Lima, the country’s lively capital, and it’s a fantastic way to explore Lima other than by foot. 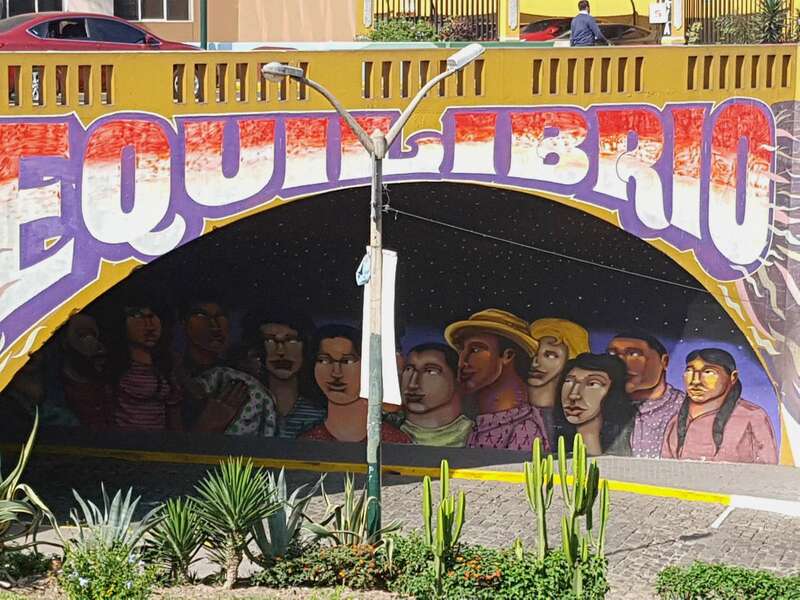 You take the bike path from the bustling burrio (neighbourhood) of Miraflores, which sits right atop the Pacific Coast shoreline in Lima, straight to the burrio of San Isidro, passing through archaeological sites along the coast, and ending in the bohemian art district of Barranco. The path is almost entirely a stand-alone, giving you safe space from the city’s streets. A wonderful initiative in Lima is the closing of one of its main streets (Avenida Arequipa) every Sunday morning to make it car-free and cycle-friendly. 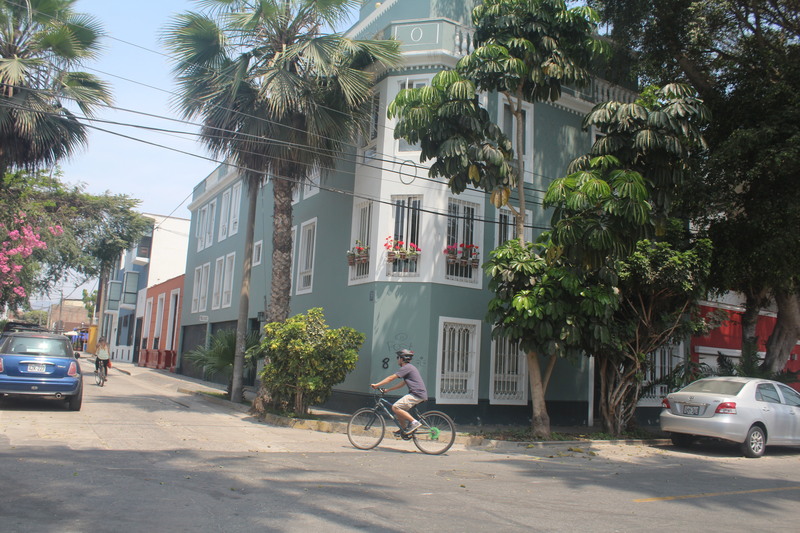 This street connects with the bike path to Barranco, where you’ll pass paragliders and surfers out on the water. 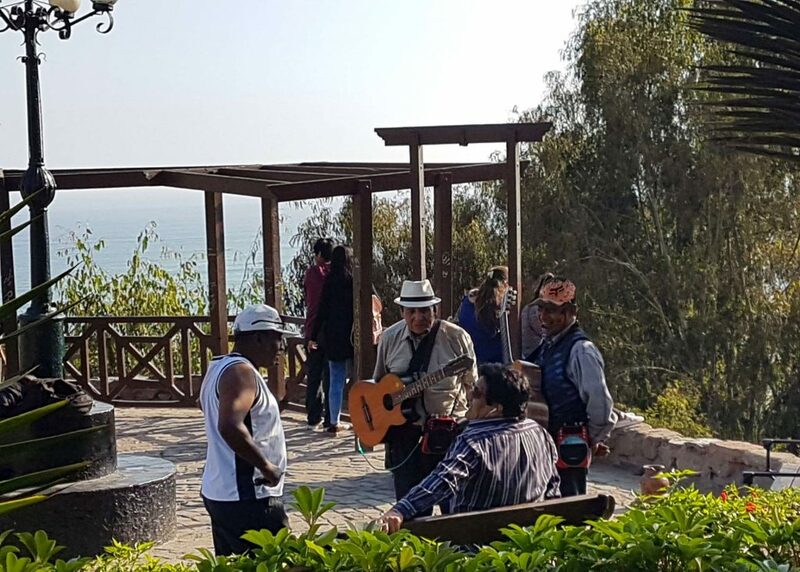 The provinces of Lima (as opposed to the city), Yauyos and Huarochiri also have cycling tracks and adventure opportunities worth looking in to. While the Lunahuana Valley draws mountain bikers, there’s also room for other two-wheeled travellers. The valley is home to one of the pisco trails, so it’s surrounded by lovely vineyards that provide excellent terrain for pedaling excursions, even better when washed down with a glass of homegrown Peruvian wine, or pisco! Further down, in desert-coastal Paracas, there’s a great cycle path that runs through Paracas National Reserve, where you can see marine life interacting with desert landscapes (bring lots of water and a hat, this stretch of the desert is hot and remote). The Colca Canyon is also a great spot for cycling trips. 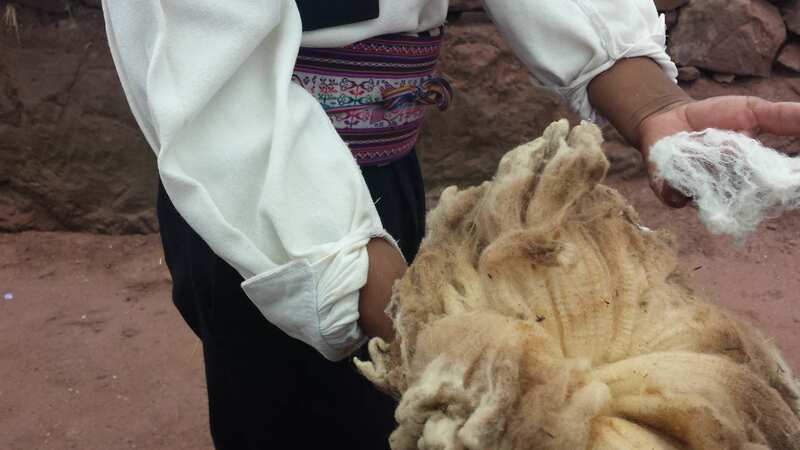 You start in the village of Chivay, and stop along route at other quaint villages, all while being treated to views of Incan agricultural terraces still in use today. At these heights, you’ll not only work up a sweat, you just might lose your breath! But the finale will be breathtaking – watching an exquisite condor fly over the canyon. Bike trips around Lake Titicaca take you back in time and through rich culture, as you pass through farm lands and see fishermen going out on their reed boats as they have for centuries. It’s not every day you can take a break from cycling to watch farmers shearing sheep. The dry coastal valleys of Lurin, Mala and Cañete just outside of Lima provide interesting terrain and varied trails for some great mountain biking. It’s also possible to combine a mountain-biking tour with an archaeological excursion to two key pre-Columbian sites: Pachacamac (just south of Lima), and Incahuasi (in Lunahuana). How incredible is that?! If you’re into the ruin/bike-trip combination, there’s no better place to go than to the heart of the Inca Empire: Cusco. Various trails lead from the imperial city right to archaeological sites. Ironically, the Incas themselves were never acquainted with wheel technology – today, mountain biking is a great way to explore old Inca territory. The Sacred Valley makes for fantastic tracks, including around the circular agricultural laboratory of Moray and the salt mines of Maras, then to the region’s main hub of Urubamba. 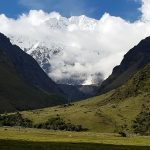 The Sacred Valley is the final destination for a longer trip that starts in Andahuayllas, boasts fabulous scenery, and passes through several traditional Andean towns. Also in the south Andes, Arequipa and specifically the Colca and Cotahuasi canyons, are awesome destinations for mountain biking. On the route from Arequipa to Colca is the National Reserve of Aguada Blanca y Salinas, a great place to launch from. When you’re done cuddling alpacas, you can make the steep climb to the Patapampa mountain pass, where you can get the obligatory photo at the “4910-metre altitude” sign, and descend into the town of Chivay, which is the gateway to Colca. Once in Colca, the possibilities are endless for condor-watching and village-hopping (see my story on my Colca Canyon adventure here). At the edge of the Amazon in northern Peru, where the rainforest meets the Andes near Chachapoyas, they are scenic mountain-biking routes which run through spectacular clouds-forests, and touch the area’s major points of interest: the pre-Inca fortress of Kuelap, the Gocta waterfalls, and the Uctubamba Valley. And hey, who wouldn’t want to bike in both the Andes and the Amazon at the same time? !